Like so many great things, it was over a good bottle of wine and some family feedback that the name “Bon Cru” was derived and the journey began. Embarking on the journey to create both a company to be proud of and one that makes an impact, regardless of size, has always been the driving force for this wood design business. Bon Cru is a French term meaning “good vintage.” Here, vintage applies not only to the wine trade but also the character in our natural products. As you learn more you will find that the products are exclusive and often tailored to the homeowner’s desire. 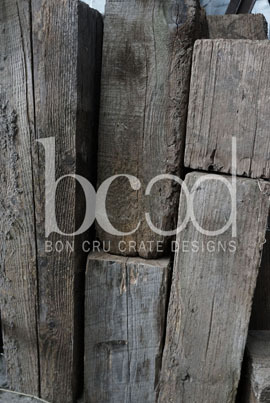 Bon Cru thrives to meet the demand for unique, built-to-last, handmade furniture while remaining focused on its core values and sustainable building practices. We create custom furniture and artwork at your request. We reuse wooden wine crates and reclaimed wood in all of our designs. We deliver and install our products promptly and efficiently. We listen to our customers intently to make sure their experience is second-to-none.